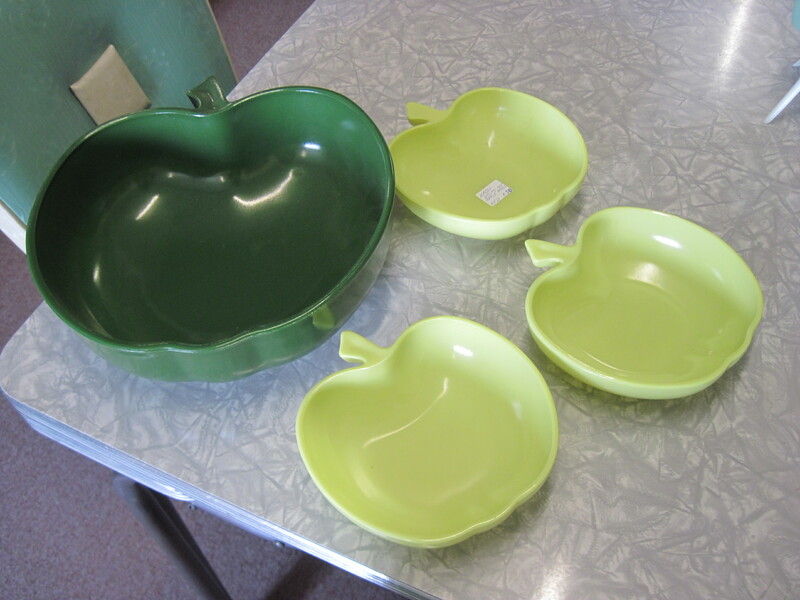 Cute as can be, this is a 1950’s Moderntone Platonite Child’s dish set with teapot, made by Hazel Atlas Co. 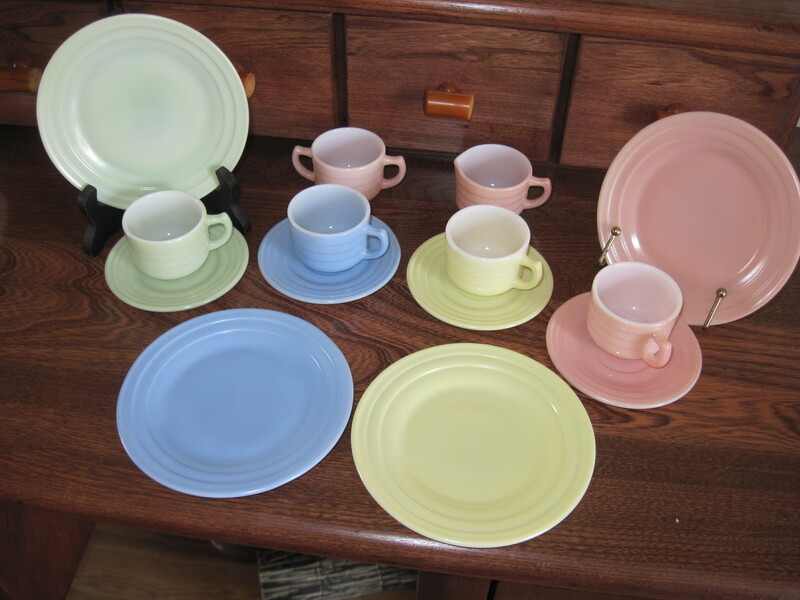 It is milk glass with fired on pastel colours. 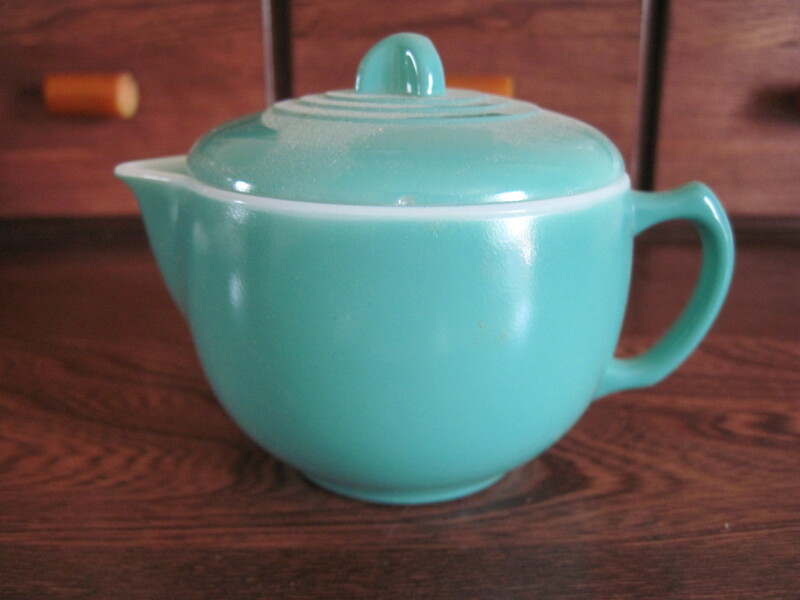 The tea pot is from another set which would have been in darker tones, like maroon, grey, turquoise and chartreuse. The teapot is about 3 1/2″ high. For sale. set of dishes is $45.00 and the teapot is $25.00. Available at the Almonte Antique Market in Almonte ON. These were made by Hazel Atlas and were manufactured ca 1938. 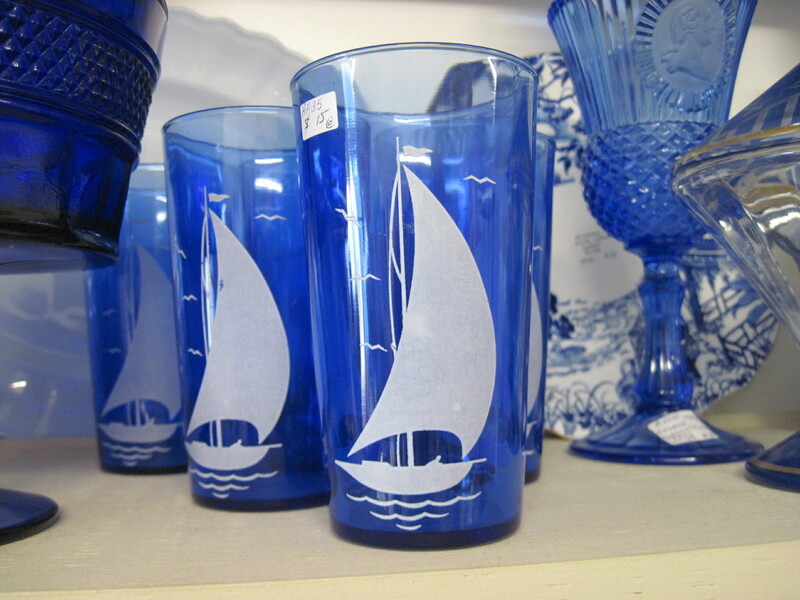 They are part of the ‘Sportsman Series’ barware. The pattern is called simply ‘Ships’. The colour was dubbed Ritz Blue by Hazel Atlas. It is hard to find them with the white decoration in good condition. They are available at my booth at the Almonte Antique Market, 26 MIll Street, Almonte ON. Please note I do not ship.